Courtesy of BHGRE Gary Greene. 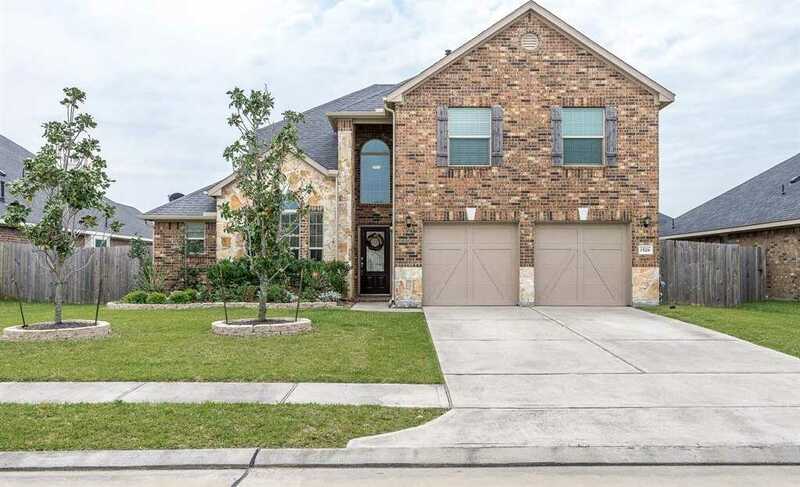 WELL MAINTAINED HOME IN HIDDEN LAKES 8211; OPEN LIVING OFFERS DEN WITH 2 STORY CEILINGS, KITCHEN WITH STAINLESS STEEL APPLIANCES, GRANITE AND BREAKFAST BAR, STAIRWAY WITH WROUGHT IRON BALUSTERS, RECENT WOOD FLOORS AND TILE IN LIVING AREAS, MASTER W/GARDEN TUB & WALK-IN SHOWER, 2ND FLOOR WITH GAMEROOM AND 3 BEDROOMS. POOL SIZED BACKYARD WITH EXPANDED STAMPED CONCRETE PATIO. GREAT NEIGHBORHOOD AMENITIES INCLUDE POOL AND KIDS SPLASHPAD AND WALKING PATHS. AWARD WINNING CCISD SCHOOLS AND CLOSE TO GREAT RESTAURANTS AND HEB!